 I joined Hired just over a year ago as a data scientist and it’s been one of the most rewarding experiences of my career, in large part because I am afforded the opportunity to work on projects that align with my personal passions. One of those passions is gender equality in the workplace. As a woman who has worked and studied in male-dominated fields for more than a decade, I’ve dealt with a variety of gender-related issues, culminating in a previous job, where I discovered that I was vastly underpaid relative to two male colleagues with backgrounds that were identical to mine. 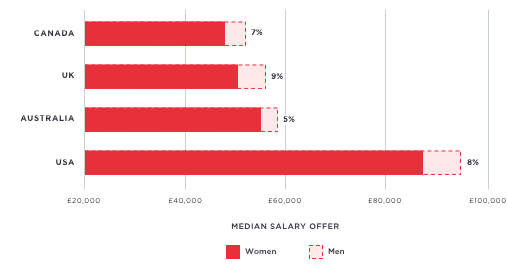 As a result, when I first came to Hired as a candidate on the platform, I did something that many women do, which is base my compensation expectations on my salary at that time. What I didn’t realize is that in doing so, I was short changing myself of the market rate for my position. Luckily, like every other candidate on the platform, I was given a Talent Advocate who encouraged me to increase the figure I was asking for, which I ultimately garnered. Had I not had that experience, I’d be making 25% less than I am currently. This experience fueled my desire to educate both women and companies about this issue and hopefully, to contribute to reducing the wage gap. Fortunately for me, Hired has a wealth of data on salaries, not just in terms of what people are paid, but also what they ask for. This last piece is especially important because it tells us something important about how people, and more specifically women, are valuing themselves over the course of their careers. Today, in honor of the UK’s upcoming Equal Pay Day, I am very proud to share with you a report I’ve been working on that examines these issues. 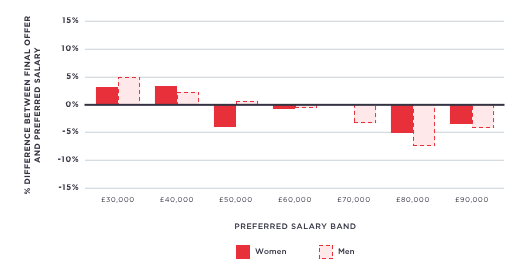 This is a follow up to a similar report we released in the US in April, and sheds a light on how women in the UK’s tech industry are paid relative to men. The analysis, which is based on data from nearly 10,000 offers across approximately 3,000 candidates and 750 companies on Hired’s UK platform, revealed some surprising insights. 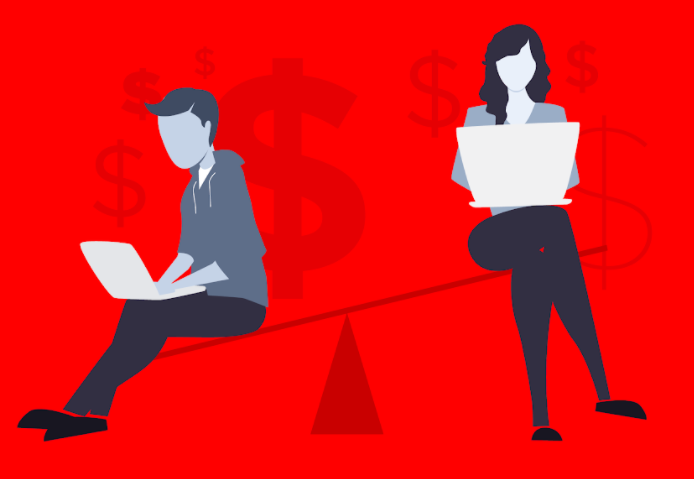 According to our data, women working in technology are offered a median salary that is 9% less than their male counterparts. Over the course of a year, this would equate to a £5,000 difference in salary. And while this gap is actually lower than the national average of 13.9%, it’s not all good news for the tech sector. When we compared the UK to other tech hubs, we found it topped the list for the widest gender pay gap. The US comes closely behind at 8%, while Australia had the lowest gap at 5%, followed by Canada at 7%. Unlike the US, where large companies showed the biggest gender pay gap, in the UK it’s mid-sized companies who have the misfortune of holding this title. 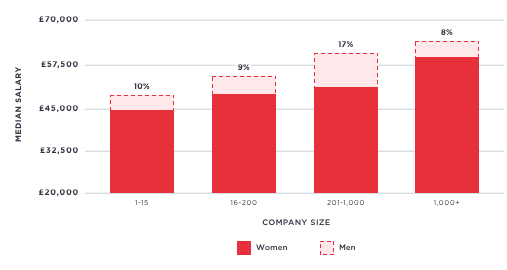 Companies who have between 201-1000 employees have a wage gap that is a staggering 17%. This is significantly higher than the national average and almost double that of companies with 200 or less or more than 1000 employees. Interestingly, not only is the wage gap lowest at large companies, but women also have the highest earning potential there, according to our data. Examining this in software engineering specifically, we saw an interesting trend. Women with less than six years of experience ask for roughly the same salary as their male counterparts; however, as they reach six or more years of experience, they ask for 18% less. This suggests that the effects of being underpaid compound over time and have a negative effect on how women value themselves. Encouragingly, much like in our US study, we did uncover something positive: Women are getting what they ask for. So, one of the most important conclusions is that women who know their worth in the interview and job searching process can command a salary on par with men. A recent Deloitte study highlighted that, at the current pace of change, the gender pay gap in the UK will not be eliminated until 2069. Not only is that more than half a century away, but it’s also nearly a century after the Equal Pay Act of 1970 was introduced. At Hired, we think 50 years is too long to wait, especially when we have the power to change this now. We want to be part of the solution by sharing much needed insight for both women and the companies that employ them. Our hope is that by sharing data of this kind, we’ll bring attention to this issue, encourage companies to investigate their compensation policies and empower women to ask for their market worth. We hope you’ll join us.